​Smart machines, businesses as platforms, and a waitress at Perkins Pancake House—all of these and more figure into Friedman's buoyant riff on where the future of work could be taking us. Tom Friedman is a well-known Pulitzer Prize-winning weekly columnist for the New York Times and the author of seven best-selling books. His insightful work covers a broad range of topics, including globalization, the Middle East, and environmental challenges. I have always been amazed by Tom’s ability to see the deeper patterns emerging from beneath the headlines and to anticipate where the world is headed. He resists the temptation to segment and silo; what intrigues him are the connections that drive and shape the evolution of an increasingly complex world. One of the things that attracted me to Tom many years ago was his desire to explore and understand emerging edges—initially marginal but potentially transformative marketplace phenomena driven by rapid advances in digital technology. We connected over some writing that we had been doing in parallel on the growth of digital technology infrastructures and the increasing importance of richer knowledge flows on a global scale, and we have stayed in touch ever since. Our paths recently crossed again with the publication of Tom’s newest book, Thank You for Being Late: An Optimist’s Guide to Thriving in the Age of Accelerations. In this book, he cited some of the research being done at the Deloitte Center for the Edge and discussed a topic that I and others at Deloitte have also been exploring: the future of work. I couldn’t resist reaching out to Tom to see if he would speak with Cathy Engelbert, CEO of Deloitte, and me on this particular topic. We ended up covering a very broad terrain with Tom and, in his usual fashion, he brought these diverse trends to life with compelling stories. 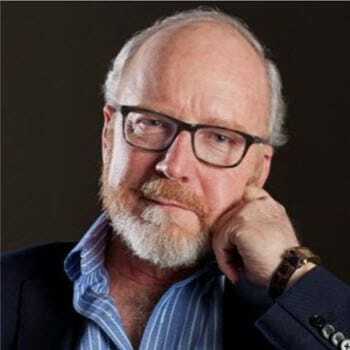 John Hagel: Given your broad perspective on global events, I suspect you have a unique perspective on the likely evolution of the future of work on a global basis. At a high level, how would you describe your view of the future of work? Tom Friedman: My thoughts on the future of work are very influenced by my friend, a business strategist, Heather McGowan. She really describes that what’s going on is that work is being disconnected from jobs, and jobs and work are being disconnected from companies, which are increasingly becoming platforms. That’s Heather’s argument, and that is what I definitely see. [A good] example is what’s happened to the cab business. In Bethesda, we have a [local] cab company that owns cars and has employees who have a job; they drive those cars. They’re competing now with Uber, which owns no cars, has no employees, and just provides a platform of work that brings together ride-needers—myself—and ride-providers. And I do think that the Uber platform model, and the way it is turning a job into work and monetizing work, is the future of work. And that will have a huge impact on the future of learning. Because if work is being extracted from jobs, and if jobs and work are being extracted from companies—and because, as you and I have both written, we’re now in a world of flows1—then learning has to become lifelong. We have to provide both the learning tools and the learning resources for lifelong learning when your job becomes work and your company becomes a platform. So I’m not sure what the work of the future is, but I know that the future of companies is to be hiring people and constantly training people to be prepared for a job that has not been invented yet. If you, as a company, are not providing both the resources and the opportunity for lifelong learning, [you’re sunk], because you simply cannot be a lifelong employee anymore unless you are a lifelong learner. If you’re training people for a job that’s already been invented, or if you’re going to school in preparation for a job that’s already been invented, I would suggest that you’re going to have problems somewhere down the road. Cathy Engelbert: One of the things that I’ve been thinking about is the idea of “the future of work” versus “the work of the future.” I always think “the future of work” sounds ominous, while “the work of the future” sounds more visionary. So what’s the one thing you would advise leaders of companies like mine to do to prepare themselves for what I’ll call the work of the future? TF: The first thing that comes to mind is something I’m arguing for America in general right now, which is to do something that would strike many as deeply counterintuitive. That is, when we move into a world of flows, and the flows are the source of strategic advantage where you extract value, and the flows are getting faster—all the phenomena that John [Hagel] writes about—it seems to me that rule number one is you want to be radically open. And that’s a really hard sell right now, because it feels so counterintuitive, and everyone’s putting up walls right when you want to be, actually, radically open. Why do you want to be radically open? Because you’ll get more flows; you’ll get the signals first, and you will attract more flow-minded people, which I would call high-IQ risk-takers. That’s from a country point of view, but I have to believe that’s also right from a company point of view: that you want to be plugged into as many discussions, as many places, and as many flow generators as possible, because you’ll simply get the signals first in order to understand where the work of the future is coming from. CE: In a recent report from the National Bureau of Economic Research, some leading labor economists did an analysis of net new employment in the United States between 2005 and 2015, and found that about 94 percent of that net new employment was from alternative work arrangements—everything from gig to freelance and off-balance-sheet kinds of work.2 You’ve talked already about this notion of, increasingly, work being different from jobs and divorced from companies, which are becoming platforms. So do you believe this is a long-term development in the economy, that the gig economy is here to stay? TF: Well, it has to be. It goes back to something I argued in The World is Flat, which is “Whatever can be done, will be done.” The only question is, “Will it be done by you or to you?,” but it will be done. Let’s use an example that people wouldn’t normally think about, from General Electric. It’s called “jump ball.” So General Electric woke up one day in 2013 and said, “Geez, whatever can be done, will be done.” So I’m GE now, and I’m trying to figure out how to get the most weight out of a fastener that fastens an airplane engine to the wing of an airplane. Now, when you take weight out of anything, especially on an airplane, you save fuel. So over the life of a plane, if you can actually reduce the weight of a fastener by 70 or 80 percent, you’ve saved enormous money. But GE sort of looked at itself internally and said, “Well, I live in a world now where I could actually take advantage of the brains of anybody to take weight out of this fastener.” So they went to the main engineering website, GrabCAD, and they created a contest, which they called a “jump ball.” They described the fastener they were currently using, the weight of that fastener under the wing of the plane, and simply threw up a jump ball: “Who in the world can take the most weight out of this fastener?” They offered $20,000 in prize money—$7,000 to the winner, and the rest split up among the other finalists. Well, within six weeks, they got over 600 responses. The 10 finalists were all tested by GE engineers, and they picked the winner. None of the 10 finalists was an American, and none was an aeronautical engineer, and the winner was a 21-year-old from Indonesia who was not an aeronautical engineer, and he took more than 80 percent of the weight out of this fastener. Now, what that tells me is, from GE’s point of view, if it can be done, it will be done. The notion that, within our stock of engineers, we have all the best talent in the world—what are the odds of that in a flat, fast world? No, let’s actually create jump balls and access all the talent wherever it is. Well, that’s another version of that 94 percent that you don’t think about; when you’re not just thinking from the employee side, “I think I’ll be an Elancer,” but from the company side you’re saying, “I live in a world now where I can access talent anywhere. If I don’t do it from my point of view, my competitors will, so I better do it before it’s done to me.” I think that opportunity is going to drive change all across the spectrum. If you have a challenge that’s posed to you, why in the world would you limit yourself simply to the talent within your own company? Because the odds of it being the best in this world are really pretty low. JH: At least some of the statistics I’ve seen say that most of the gig economy today is made up of fairly routine tasks, like you mentioned earlier: driving a car, or translation services, or bookkeeping services. Do you see that being sustained? Looking at the trend in terms of technology, certainly in the mobility fleet operator business, a lot of companies are focused on developing autonomous automobile technology, and drivers go away. Do you see that as a significant issue in the gig economy? JH: One more follow-up on the gig economy. To the extent that it evolves toward more creative problem-solving tasks, do you see it moving beyond just individuals doing isolated tasks on a contract basis, which is what most people think of when they think of the gig economy? As the focus increases on creativity and lifelong learning, do you see a tendency, perhaps, for these people to come together into more sustained work groups that will work together on these challenging tasks? Or will they just stay isolated individuals? TF: It makes total sense. Stage 1 is we all go solo, and stage 2 is, some real estate developer comes along and says, “Well, you’re all solo, so I might go into the worker space business.” Then, somebody’s going to come along and say, “Gosh, you all need meals, and you all might need health care advice, and by the way, you might need pension advice.” So I think it will all start to adapt around this. CE: What about the role of companies in terms of fostering lifelong learning? What’s your sense of what can companies do to help us make this transition [to workers] who are passionate lifelong learners? TF: Well, the AT&T model is [one of] the best I’ve come across. Basically, the CEO shares with the company where the company is going, what world they are living in, and what skills you need to be a lifelong employee at AT&T, then partners with Udacity to create nano-degree courses for each one of those skills. Then the company gives each employee up to $8,000 a year to take those courses, but it says to the employee, “Your responsibility is that you have to take them on your own time.” I believe that is the new social contract. “We, the company, with help from government, will create the lifelong learning opportunities, but you, the employee, will have to seize them on your own time.” More will be on you. There are three new social contracts that have to evolve here. Government has to incentivize companies to create these lifelong learning opportunities. Companies have to create the platforms for employees to afford to be able to take these courses. And the employee has to have a new social contract with themselves: “I have to do this on my own time; I have to be more self-motivated.” More is on you. That part of the story, I can’t change. The day when you could just show up, work hard, and play by the rules, as Bill Clinton said, and still have a high-wage middle-skill job—those days are over. JH: One of the big themes in your work is this notion of the increasing importance of knowledge flows, and how they help us to learn faster. On the other hand, there’s the downside that too much knowledge flow can become overwhelming. So what are the most effective ways you see of participating in knowledge flows so we can learn faster, but at the same time avoid becoming overwhelmed by this avalanche of knowledge? TF: I would put it in terms of filters. For example, I talk the talk of globalization and technology, but I do not walk the walk. If you are tweeting at me or about me, y’all have a good time. I am not there. I do not look at Twitter. It’s a fire hose with too many people who are just throwing stuff up there that I’m not interested in. If I have to learn about the coup, the revolution, or the earthquake three minutes later from CNN, I’m okay with that. And so I am trying to find the right balance of flow and friction. I want to let enough in so that I know what’s going on so I can write these books, but not so much that I am so overwhelmed that I’m paralyzed. I think that’s why we need to teach filtering, literally, to our students. There should be Filtering 101, Filtering 102, Filtering 103. How do I filter information so I get enough of it to advance, but not so much that I’m overwhelmed? How do I filter news? The Internet, the mother of all flows, is actually an open sewer of untreated, unfiltered information, and if my employees, my students, and my kids don’t have filters built into them to be able to get the best out of flows and cushion the worst, then we’re going to have a real problem. So filtering, teaching people how to filter—how to go to three different places to verify the information that used to be in the textbook where you knew it was true, because it was edited and went through all the normal processes—we need to do that. I think we need to be teaching digital civics to every child. You should not be able to get out of elementary school without a class in digital civics on how you talk on the Internet, how you relate to someone on the Internet, and how you filter news on the Internet. CE: This raises the question of, “What is the role of schools in the work of the future?” It seems that our educational system was modeled to train people for one form of work, and it’s not quite clear they’re focused on the work of the future. TF: For me, 95 percent is about teachers and parents, and 5 percent is everything else. I am a journalist today because I had a great journalism teacher in 10th grade at St. Louis Park High School in Minnesota. She inspired me—the only journalism course I’ve ever taken is her class. Not because I’m that good, but because she was that good. So great teachers, they can show up anywhere: public school, private school, anywhere, and our job is to simply find and nurture more of them. At the same time, though, I believe that what happens in all those other 20 or 18 hours of the day when you’re out of school, and on weekends, matters more than anything. It’s parents who do as little as ask their kid, “What did you learn in school today? How did you do in school today? How was your day in school?” Parents who take an interest and passion in their kid’s education and learning. Give me that and I’ll make every good teacher great, and I’ll make every great teacher outstanding. It’s so much about parenting and good values that you nurture at home: love of learning, love of reading. I think we want the public schools, or the charter schools, or whatever, to remediate all the problems of parenting, and there’s no teacher who’s good enough to do that. TF: There’s only one way, and I’ve felt this really is a theme in all my books. You have to teach people to love learning. Some of us are lucky; we were born with it. If you’re lucky as a parent, and your kids love to learn, you won the lottery. Some of us have to learn it; others have to have it inspired in them by a great parent, or teacher, or spiritual leader, or president. But there is no more important survival skill than learning to love learning. That’s why I’ve always lived by the formula, which I give in The World is Flat, that PQ + CQ will always be greater than IQ. You give me a young person or employee with a high passion quotient and a high curiosity quotient, high PQ and high CQ, and I’ll take them over the person with a high intelligence quotient, IQ, seven days a week. PQ + CQ are always greater than IQ. JH: One of the key themes in Thank You for Being Late is the implications of digital technology and Moore’s law, and you talk about some of the specific technologies, like robotics and artificial intelligence, that are especially relevant to the future of work. I’m wondering if you have some examples or views you can share about what companies are doing well and not so well in terms of integrating this technology into the future workforce. My sense at one level is that they’re focused largely on automating work as opposed to augmenting work, and I would be interested in your perspective on that. TF: I like that distinction you make between automation and augmentation. I think the best companies are doing both, automating wherever they can and augmenting wherever they can, because that’s where you’re going to get the most efficiencies. I think the companies that are doing best are creating what I call STEMpathy jobs—jobs that combine science, technology, engineering, and math with human empathy, the ability to connect with another human being. When you put those two things together in a manager or in an employee, I think you have the sweet spot of where work has to go. CE: I’ve often said I’ve never met a machine with courage or empathy, so I’m fascinated by your concept of STEMpathy. Please explain a little more what you mean by it. TF: In terms of planning, and values, and how do I think about the future—you can’t automate that. If you think of Watson, who’s the best doctor in the age of Watson? It’s very different. It’s the doctor who can ask Watson the best questions. If Watson’s read every article ever written on cancer and no doctor can even think about approaching that, then being able to ask Watson the right question about a patient and then translate that in an empathetic way to that patient—and use Watson not as a substitute, but an augmenter for that doctor’s own innate skills—it’s in that combination that you’re going to get absolutely the best jobs. It goes right down to anyone who’s had an elderly parent in an Alzheimer unit, as I have, or even a nursing home. Boy, they know the difference between that caregiver who has both some medical knowledge and the kind of empathy that lets them relate to your parent. And how much more would I pay for that person to be looking after my mom as opposed to the person who doesn’t have those skills? I’d pay a lot. CE: What do you think about this kind of disruption around AI? Do you think society and businesses, and we as individuals, are ready for it? TF: Probably not, but it’s both. I’m not ready for a software program where, if I give it a certain set of views, it will write a column, an opinion column, modeling after my tropes. That’s kind of scary to me. But at the same time, I’m a golfer, and I’m a busy person, and you know what I discovered? The hourly weather report. I can now look at the hourly weather report and say, “Oh my goodness, the sun’s going to be out from 2 to 4 p.m. in Bethesda. I can work all day when it rains, and then I can do my golf between 2 and 4.” It’s made me so much more efficient and improved the quality of my life. And I think that applies to all of these systems. They’re just dumb systems, in a sense, even AI, and it’s all about the human values that we bring to it. JH: I recently gave a talk at South by Southwest about robots actually restoring our humanity. In the world of scalable efficiency that we’ve been operating in, we’ve defined work as tightly specified, highly standardized tasks. If that’s what work is, my proposition is actually that robots are much better at that than human beings are. They don’t get distracted, they don’t get sick, they don’t make mistakes. And if the robots start taking over those tasks at a much more rapid rate, it’s going to be a catalyst, I believe, to force us to rethink what work could be for human beings. What are those unique human capabilities that we could tap into? JH: You’ve talked about the notion of companies evolving into platforms. Can you talk a little bit more about what role you see platforms playing in terms of the future of work and what kind of impact they’ll have? TF: When I look at the companies that are really doing well and that aren’t just platforms, they’re blending the platform potential of their business—the GE jump ball—with creating a really strong in-house learning innovation environment. That’s why I love going to these old companies that are still around—AT&T, GE, Intel, Qualcomm. They all have that in common: that they’ve found a real way to balance what is new, and the new potential of it, with the strength of still having a company, a brand, and a value set around a certain team of people. Again, I’m so Aristotelian in my thinking. Life is always about the midpoint and moderation. It’s never about extremes; it’s about finding the balance. JH: You talk about and actually cited some of our work around the mounting performance pressure that comes with all this acceleration of the forces of change.3 What do you see as some of the negative consequences or potential negative consequences of that kind of pressure, and how do we reduce the risk of those negative consequences? TF: Well, I’ll take an example from my own business. We have newspapers now that have put up scoreboards in the middle of their newsroom. So people can go, “Let’s see, Tom Friedman wrote about Deloitte today. Oh my gosh, look at that; it’s going up on Google and trending on Facebook, and trending on Twitter. What was that story you wrote about Deloitte? Oh, it was trashing their CEO, really dishing on her.” And the person sitting at the next desk is saying, “Wow, Tom, you made it to the top of the scoreboard trashing the CEO of Deloitte. Wait, it turns out Deloitte’s called up and they’re complaining about the story. It’s not true. Yeah, we’ll run a correction tomorrow at the bottom of page 822 underneath the ads.” But meanwhile, I’m at the top of the scoreboard. Really bad trend. Now, I’d like to think I’ve been around long enough so I don’t fall prey to that. I hope I don’t. I try to write about what’s important, not just what will go viral. But if you’re a starving journalist or if you just don’t care about that, and you just care about “Look how many hits I got,” it’s a really bad trend. It’s going to make us really stupid. Because I’ll only be writing about what will scale, and I’ll only write about Deloitte’s failures, not successes. CE: Tom, let me be a little personal here. I understand you have two Millennial daughters. I also have a son and daughter who are digital natives. My son, about a month ago, came to me and said, “Mom, I’m afraid I’m not going to get a job someday.” I said, “Why?,” and he said, “Because a robot’s going to do my job.” So I did the whole “augmenting humans, not replacing humans” thing, and I said I’ve never met a machine with empathy, and he said, “All right, I’ll just have to learn to be a cobot.” I said, “What’s a cobot?,” and he said, “To coexist with the robot.” So what counsel do you give your daughters that you can share from your perspective with all the research and writing that you’ve done? TF: Well, I have five pieces of advice for my daughters. The first is to always think like an immigrant. How does the new immigrant think? New immigrants think, “I just showed up here in Bethesda, and there is no legacy spot waiting for me at the University of Maryland. I better figure out what’s going on here, what the opportunities are, and pursue them with more energy, vigor, and more PQ and CQ than anybody else.” So my first rule is always think like an immigrant, because we’re all new immigrants to the age of accelerations. Second, always think like an artisan. This was an idea I got from Larry Katz at Harvard. Larry points out that, before mass manufacturing, before factories, work was artisanal. Work was built around artisans, and the artisan made every chair, every table, every lamp, every fork, knife, spoon, plate, glass, pitcher, shoe, dress, suit, underwear, stirrup, saddle—all that was made by an artisan. And what did the best artisans do? They brought so much personal value-add, so much unique extra, to what they did that they carved their initials into their work at the end of the day. So always do your job [in a way that] you bring so much empathy to it, so much unique, personal value-add, that it cannot be automated, digitized, or outsourced, and that you want to carve your initials into it at the end of the day. Third, always be in beta. I got this idea from Reid Hoffman, co-founder of LinkedIn. Reid likes to say that in Silicon Valley, there’s only one four-letter word. It actually does start with an F, but it isn’t four letters, and that word is “finished.” If you ever think of yourself as a finished product, you’re probably finished. Reid’s motto is, “Always be in beta.” Always be in the state of mind of a piece of software that’s about 85 percent done. You throw it over the wall, the community tests it, finds the holes, finds the glitches, they throw it back, you work on it some more, you throw it over the wall again, they test it, and so on. Always think of yourself as if you need to be reengineered, retooled, relearned, retaught constantly. Never think of yourself as “finished”; otherwise you really will be finished. Fourthly, always remember that PQ + CQ is greater than IQ. Give me a young person with a high passion quotient and a high curiosity quotient and I will take them over a kid with a high intelligence quotient seven days a week. In the age of Google, no one really cares what you know, because the Google machine knows everything. All they care is what you can do with what you know, and I will trust PQ and CQ over IQ over the long term on that. And lastly, always think like a waitress at Perkins Pancake House in Minneapolis. Perkins is my favorite restaurant; I grew up outside of Minneapolis, and there’s a Perkins on Highway 100, France Avenue. I was eating breakfast there with my best friend, Ken Greer, when I was working on a book back in 2011. I ordered three buttermilk pancakes with scrambled eggs and Ken ordered three buttermilk pancakes with fruit, and the waitress took our order and came back in 15 minutes. She put our two plates down, and all she said to Ken was, “I gave you extra fruit.” That’s all she said. I gave her a 50 percent tip. Why? Because that waitress didn’t control much, but she controlled the fruit ladle, and what was she doing back there in the kitchen? She was thinking entrepreneurially. She was thinking to herself, “You know? I’m going to give this guy an extra dollop of fruit.” See what happens? Turns out, he was sitting with a chump like me, and I saw that, and I said, “That’s kind of cool. I’m giving you a 50 percent tip.” She was thinking entrepreneurially. So my advice to my girls is, “Whatever you do, whether you’re in the public sector or the private sector, whether you’re on the front lines or a manager, always think entrepreneurially.” Always think, “Where can I fork off and start a new company over here, a new business over there?” Because [huge manufacturing companies are] not coming to your town with a 25,000-person factory. That factory is now 2,500 robots and 500 people. So we need three people starting jobs for six, six people starting jobs for twelve, twelve people starting jobs for twenty. That’s how we’re going to get all those jobs. We need everyone thinking entrepreneurially. Editor’s note: Mr. Friedman’s participation in this article is solely for educational purposes based on his knowledge of the subject, and the views he expresses are solely his own. Radically open: Tom Friedman on jobs, learning, and the future of work has been added to your bookmarks. Radically open: Tom Friedman on jobs, learning, and the future of work has been removed from your bookmarks.